The Raimy Psychology Clinic at the University of Colorado was founded in 1960 and has been providing affordable psychological treatment for over 40 years to adults in the Boulder County area, including University of Colorado students, faculty and staff. 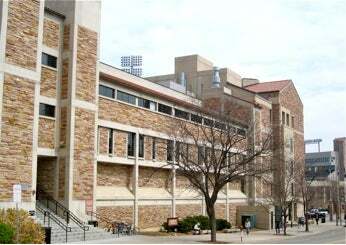 The Department of Psychology at the University of Colorado maintains the Raimy Clinic as a training site for graduate students in the Clinical Psychology PhD program. Graduate student therapists provide therapeutic services and are supervised by licensed psychologists and other experienced mental health professionals. The primary goal of the Clinic is to provide an introduction to clinical training for clinical psychology graduate students. The secondary goal of the Clinic is the provision of quality psychological services to the community at large. An additional goal of the Clinic is the integration of research and clinical training. Because of the training function of the Clinic, we offer psychological services at substantially reduced fees. We are committed to providing services to those who are currently underserved, including economically-disadvantaged, ethnic and sexual minorities, as well as families.